We’d love your help. 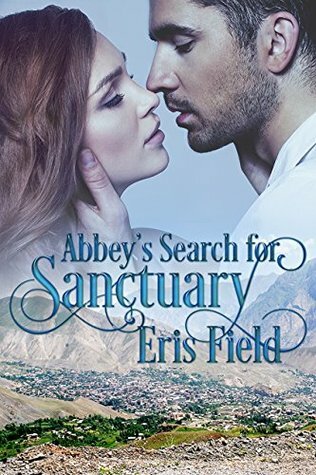 Let us know what’s wrong with this preview of Abbey's Search for Sanctuary by Eris Field. Abbey’s Search for Sanctuary, Stand-alone Book One of Destiny: Choice or Chance Trilogy: A riveting story of violence against women, including baby girls, and those who fight to protect them. A Turkish-American nurse, Abbey shelters her younger sister after she divorces her Muslim husband when she learns his mother is going to perform a circumcision on their baby girl, J Abbey’s Search for Sanctuary, Stand-alone Book One of Destiny: Choice or Chance Trilogy: A riveting story of violence against women, including baby girls, and those who fight to protect them. A Turkish-American nurse, Abbey shelters her younger sister after she divorces her Muslim husband when she learns his mother is going to perform a circumcision on their baby girl, Jenny. When her sister is murdered by her ex-husband, Abbey knows she must find a way to keep Jenny safe. Warning Abbey that honor killings are often family affairs and that she and Jenny are in danger, Rami offers her a way out: a marriage of convenience and refuge in his homeland of Kurdistan. Abbey is committed to doing anything to protect Jenny but can she face going back to the world of her childhood: a world of headscarves and submission, a world that scarred her mother and killed her sister, a world she’d already escaped once? To ask other readers questions about Abbey's Search for Sanctuary, please sign up. This is a story of love and redemption; it deals with very complex subject matters such as religion, customary traditions, the acts of rebelling against those, loss, and redeeming oneself in the eye of the public. From reading the blurb about the book I was really looking forward to reading it since it seemed a unique since it told a different side, one not often touched on, of the Muslim religion and the negative culture and customs of the Middle East and the diversity of cultures in this area. I will say just based on these items the book is very good. I did enjoy how the author was able to explain the differences between cultures, such as Egyptian Muslims versus Kurdish Muslims versus Turks and so on. I did learn a lot, and I also really like that the main character was American, since this character asked those questions that most Americans do have misconceptions on. The overall storyline though I felt was lacking, it lagged in the wrong places and in the parts that should have been explained more were rushed. The beginning of this book, really the first half was written great, it got a little preachy in places with the subject of genital mutilation was brought up, the same information on this subject was brought up many time, to me it was too much, because you only have to be told once maybe at most twice that this practice is not in the Koran and was outlawed in 2011, for that to get through but no this was brought up much more, by multiple characters. The same thing can be said for the clarification of Kurdish Muslims and how they view women versus other types of Muslims. At the halfway mark something VERY shocking happens which takes the story on a new path that I felt was too rushed, this is the section where our main character meets her romantic partner and with romance you have to build it properly for it to be believable and to be I felt in this half of the book this was not done so the romance suffered, and being that the was one of the main points of the book kind of made the whole book suffer. The story line has been competently and adequately explained in the other reviews without spoilers, so I won't repeat it. But it's not only the story line that's interesting and, at times, heartrending; it's the information about the cultural differences between the Kurds, Turks and Arabs. The less-informed of us in the West often tend to lump these Middle Eastern cultures together: "they're all the same". This book makes it clear that they can be very different. At times I thought I was reading The story line has been competently and adequately explained in the other reviews without spoilers, so I won't repeat it. But it's not only the story line that's interesting and, at times, heartrending; it's the information about the cultural differences between the Kurds, Turks and Arabs. The less-informed of us in the West often tend to lump these Middle Eastern cultures together: "they're all the same". This book makes it clear that they can be very different. At times I thought I was reading a cultural and geographical review on Trip Advisor, such was the amount of information the author imparted. However, I commend the writing style because this information added to, rather than inhibited, the narrative flow. It helped to create an undiscovered world for me as the reader; a world I want to know more about. My only slight concern is that on occasions the dialogue reads/sounds like the speaker is reading from a pre-prepared text. Whilst it delivers welcome information for the reader, I wonder if the characters would speak that way, as educated as they clearly are. That said, my concern is not enough for me to give this book anything other than 5*. Dr.Abbey Askoy is in desperate need of employment and has applied for a Psychiatric Nurse Practitioner position at a local clinic specializing in many types of psychiatry. Her sister, Jeyda and her daughter Jenny have just come to live with Abbey after escaping from her husband. Abbey grew up in Turkey and then came back to the United States with her mother and she has views of the Muslim religion and has vowed to never get involved with a Muslim man after seeing what both her mother and her sist Dr.Abbey Askoy is in desperate need of employment and has applied for a Psychiatric Nurse Practitioner position at a local clinic specializing in many types of psychiatry. Her sister, Jeyda and her daughter Jenny have just come to live with Abbey after escaping from her husband. Abbey grew up in Turkey and then came back to the United States with her mother and she has views of the Muslim religion and has vowed to never get involved with a Muslim man after seeing what both her mother and her sister have gone through. But when she finds herself attrqcted to her new boss, Dr.Rami Rashid she soon learns that she must trust that he is different than other Muslim men and will protect her when it is clear that she is no longer safe. Will Remi treat Abbey differently or is he just like every other Muslim man that she has come in contact with before? This was a super interesting book on so many different levels and I really enjoyed learning about the cultural differences that the book talked about. I really liked the character of Abbey and completely understood why she was so guarded. Yet she lumped all Muslim men into one pile but I did understand the reasons behind it. I was devastated to learn what Jeyda's husband wanted to do to their daughter, Jenny, and I think I would have run as well. Abbey was well educated and really wanted to help people and understood how many people out there need assistance with their mental health. It was very difficult to read about what many women are subjected to in other cultures. Not every woman or man should be placed under the same "umbrella" but the information we learned in this book is so devastating to know that these types of things still happen. Sadly it does still happen in cultures and I have read about it locally. I really liked Dr.Rami Rashid and right from the beginning I crossed my fingers that he was different and would treat Abbey properly. He was a very educated man who had been "burned" in love before and it was interesting to see how much status he lost from that and how it affected his family. Rami had a different approach to things and I loved how he was able to start over and how he protected Abbey when it was needed the most. I can see that people may not want to read the book due to the cultural differences and subject that it talks about and that the book could offend some readers but I encourage the reader to give the book an honest try as the bottom line is love and giving someone a chance in spite of how we believe they will act.